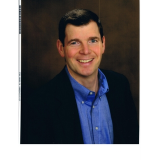 Nick McCormick is a practicing manager in the information technology field with extensive business experience and a passion for leadership development. He has built and managed dozens of teams and organizations of information technology professionals. Acting Up Brings Everyone Down is about the damage that results from the destructive, childish behavior we too often employ at work. Joe Kerr and Wanda B. Goode, characters from Nick's first book, Lead Well and Prosper, return to demonstrate the silliness of common workplace antics in hopes that readers will acknowledge their actions, realize there are better and more constructive ways to act, and make the necessary changes to improve the work environment. There is indeed a better way, and we all have a role to play in making it happen - whether we are in management or on the front line. We spend 50% or more of our waking lives at work. McCormick encourages readers to rise above the petty, childish behavior that breads malcontents in favor of nourishing childlike characteristics of creativity, excitement, and wide-eyed wonderment that make employee engagement flourish. "Nick McCormick's ability to link damaging workplace behaviors to their childish origins helps us plainly see how destructive these can be to our organization, team, and our own career. Each chapter details the anatomy of a particular behavior and includes great dialog sketches, which are Nick's trademark. This book gets to the point quickly using examples we can all relate to and then coaches/mentors the reader with pointed check lists of do's and don'ts."